[General description] The Pine Creek Hotel, photographed from a distance, has a lamp outside to welcome the traveller. A bearded bushman and his horse stand in the shade of its ramshackle verandah whose iron sheets are kept in place by wooden rails. Next door are the buildings of the Telegraph Station. 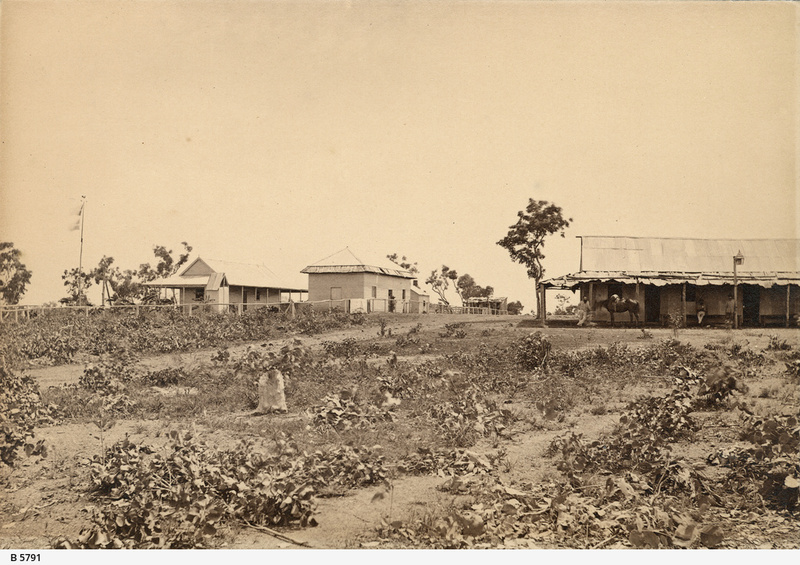 [On back of photograph] 'Telegraph Station and Standard Hotel / Pine Creek / Northern territory'.